Beyond surface of things is wonderful. There is something amazing behind what we see, what we hear and what we taste. We often claim judgment, “building is green”, “building is high”, “beautiful home”, ” evil conduct”, “so much money” et cetera. Some of them are physical and sensory judgment. Some of them are mathematic judgment. Some of them are ethic judgment. Some of them esthetic judgment. Science talk about the physical phenomenon. It talks about natural science. That is not limit of reality. Beyond physical phenomenon, we found in our experience about beauty, and good and bad judgment or ethic judgment. 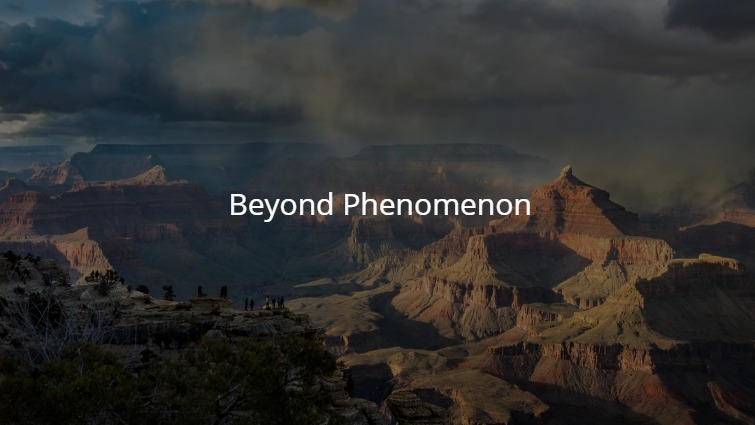 Kant said that beyond sensory phenomenon is noumenon, that is something that exists but difficult to understand. We always revise our understanding: ethic and esthetic. In the old tribe, someone who knows about the phenomenon and beyond noumenon has an important role and their member of tribe honor them. But now, we separate expertise, so scientist didn’t explore about ethics and esthetic, and think that that is the barrier to objective judgment. Esthetic not only to know but also to feel, to tend, to act. Ethic is not only to know but also to feel, to tend, to act, to prioritize it beyond our life, we die for ethics than to be evil. That is Kant said. We can not die for an esthetic experience. But we can die for an ethic reason. We live not only to differentiate wrong and true but also evil and good, beauty and ugly. Then we try to do true, good and beauty. Human living is driven by 4 values, goodness, truth, beauty, and Godness. Search for truth is one of human motif that makes human happy because he uses this own reason capacity. Search for beauty is one of human motif that makes human happy because it is happy to sense. Search for good conduct make human happy, it makes him found a meaning of life. That is beyond surface of things. Life Javanese have a proverb: urip itu urup. 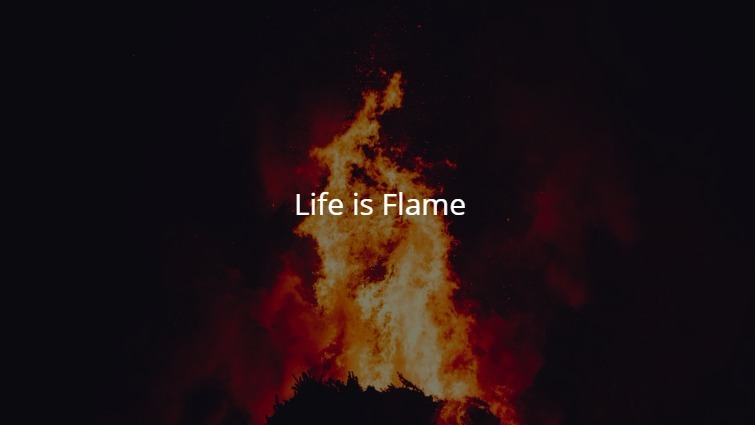 It means life is flame. Flame is light. What is it mean? It is mean that life has meaning, full meaningful life if we contribute benefit to another people. The wonder is that is expressed in short word and let us think. Let us think and ask the question what it is mean? That short proverb has similarities with Islamic teaching. Most of Javanese are Moslem, so Islamic teaching has an effect on Javanese. And Javanese are rethinking Islamic teaching and expressed it in easy to remember and interesting proverb or quotation. Urib itu urup. Life is light of the flame, the meaning of life if we give benefit to others around us. It means, the greater the benefits we provide certainly the better for us and others, but no matter how small the benefits we give to others do not let us be the one who is troubling the community. Don’t underestimate our kindness and goodness. The meaning of this proverb is remarkable. We living together in the world. We are not alone. The world not to stand alone, in power and all only for ourselves, but we are born to give each other, help and help others without any sense of self-interest. All religions have much discussed this fact that humans as social beings must interact and help each other. Javanese teaching also said that if we give something to gift to another, don’t expect to get recompense. The benefit we give to another is like a fire that burns, fire does not mean burning and destructive coals, but the fire has the meaning of a light that always burns and shines every step of man to the right path. Therefore our lives must have the value of benefits that always give a bright light so that every step we and our brothers can walk toward the truth. Don’t disturb another people because it does not fit our nature as a noble creature. If we do something wrong it is forgotten, but if the mistake is repeated a second time it has become his character. Let us fill our lives with useful benefits and let each other keep our steps beneficial to all. Persuasion Factor is an important skill to manage the better world, even though we can use for destroying the world. Persuasion is also important for advertising. 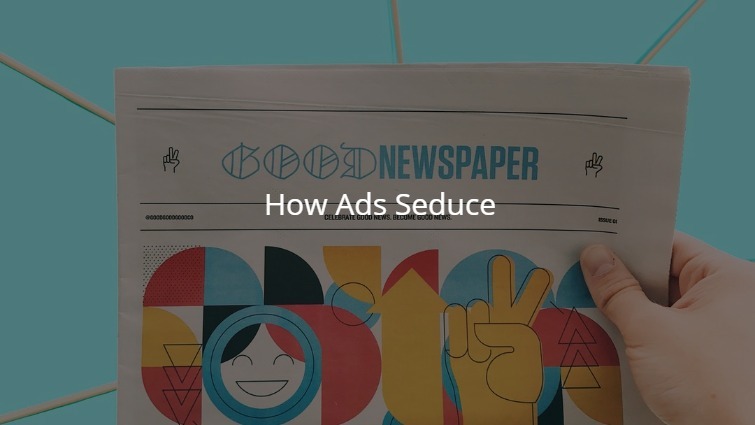 How does the ad seduce? The success of seduction is not entirely due to seductive factors, but also the seduced factor, the target market. What happens to the seducer, and what the seductive person does. How the target market reaches the purchase decision. From the side of the seduced person, people are seduced and reached the buying decision, passing some stages as follows. Before buying, a target market just like any other human being realizes there is (1) a frightening thing to be given the action (2) the obligation demand (3) achieving the dream. The scary thing can be a bad state according to his assumptions can also be a bad potential that has not happened. Poor circumstances according to his assumptions that such as acne, blacks, have no veil, have a hijab but less trendy, have a hijab but the color is less in accordance with the color of clothes and so on. The same state or potential can be a problem for a person, but for another person, that situation is not a problem. Liability demands describe what the target market is trying to do in work and life. The obligations can be functional, social and emotional. Some of these tasks are considered important and urgent for a person, but for others, it is not considered important. The task comes from the role, eg the role of adherents of the religion, Indonesian citizens, husbands, students, corporate leaders, professions, and so forth. Functional obligations are professional obligations and obligations as human beings. Human has obligation to survive, eat drink and maintain health. The obligations of the profession, for example, must have the equipment and equipment to carry out their obligations. Social obligation is an obligation to perform well or gain power or social status. Each person have their own different opinion about ‘their status and association. But all have because the assumption of people in our influence affects our fluency in the world of work and in the association. There are people who want to look trendy, contemporary, professional, trustworthy, adept and so on. That is persuasion factor. We persuade by recalling them to their ideal status or obligation. 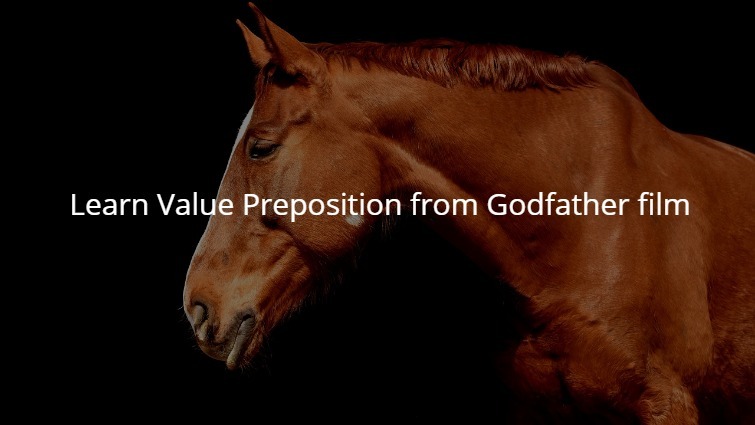 Learn from godfather is entertaining and interesting. In one of the scenarios of the movie God Father, famous singer Johnny Fontane said that his career has a problem to Godfather, Fontane said he was rejected for the lead film by movie studio director Jack Woltz, though the role most suited him. It can be maintained his career. Fontane says there is no way out because the movie starts next week. Don Vito replied, “I’ll give him an offer he can not resist. “I will make an offer that he can not refuse.” Vito sent Tom Hagen, his personal lawyer, to tackle Woltz, offering lasting friendships and help to tackle labor union pressure. Woltz refused. The next morning Woltz wakes up with his blood splatter and his favorite horse headpiece. Next scene, Johny Fontane sent flower arrangements to Vito Corleone. He’s been a star in Jack Woltz’s movie. The equation of the story with the ads that cover this book equals offering and asking for something. Don Vito offers eternal friendship and worker problem solving and asks Jack Woltz to accept Johnny as an actor in his film. Ads also ask people to give something and give offerings to target markets. The difference is, Vito uses physical threats to get his offer accepted, but ads cannot do that. Equation again, Vito through Hagen to find a match between the offer and the situation of the parties offered. Before making an offer, Vito’s envoy, Tom Hagen is very important what is Woltz’s situation, what his dreams, his fears, and needs are. He is facing workers, so Hagen offers help for problems. Hagen guessed it fit accordingly. Products in business are like that. Entrepreneurs seek to match their products to the needs of the target market. We formulate products based on the need of the target market. Products designed to satisfy the target market. Furthermore, based on the results of the understanding of the product, the creator of the ad, including Facebook advertising, the preparation of messages based on products or offers to be conveyed to the target market. The ad builder is a marketer, not an obstacle to creating an ad whose work is completed once the ad is created. He as a marketer, ad builders participate in striving for sustainable sales for customer satisfaction, corporate teams and investors. With that responsibility, to make an irrefutable offer, the ad builder 1 (1) updates its notion of the target market, (2) adjusts the product or offer with an understanding of the target market (3) creates advertising based on market and supply situations.